Gamers’ charity SpecialEffect have set the countdown clock running for GameBlast17, the UK’s biggest charity gaming weekend. The event, held over the weekend of 24-26 February, aims to raise £100,000 to support the work of the charity in helping people with disabilities to access and benefit from video games. Over 100 individuals and teams of gamers from around the world have already signed up to fundraise through their own gaming marathons and gaming events during the three days. Many major names in the video games industry are backing the event, including GAME, Multiplay, Twitch, FACEIT, Insert Coin and ukie, alongside a host of eSports teams, streamers and studios. GAME are planning a 24-hour livestream event from their headquarters and will also be running a number of fundraising initiatives via their UK stores. Other planned activities include charity streams from Ripstone Games, Wired Productions and even a 72 hour Zeldathon. 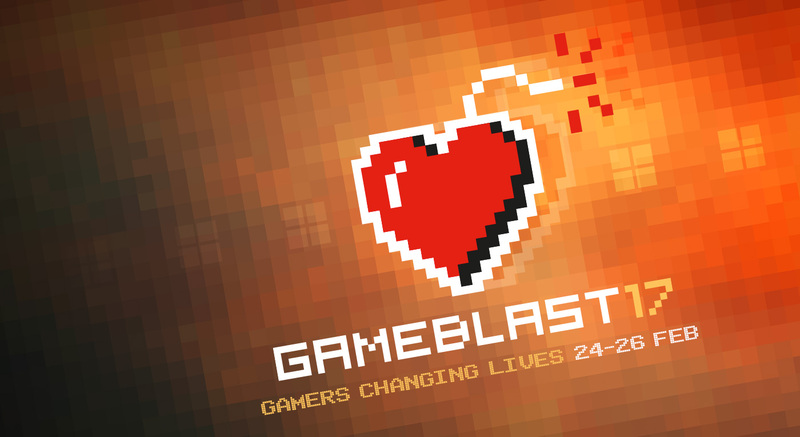 “We can’t wait for GameBlast17” said Tom Donegan, the charity’s Events Coordinator. GAME Digital Plc has today announced that SpecialEffect, the gamers’ charity, is its nominated charity for its UK subsidiaries for 2016/17. The announcement follows a UK company-wide survey, inviting staff to choose which charity they would most like to support which also had the best association with GAME. 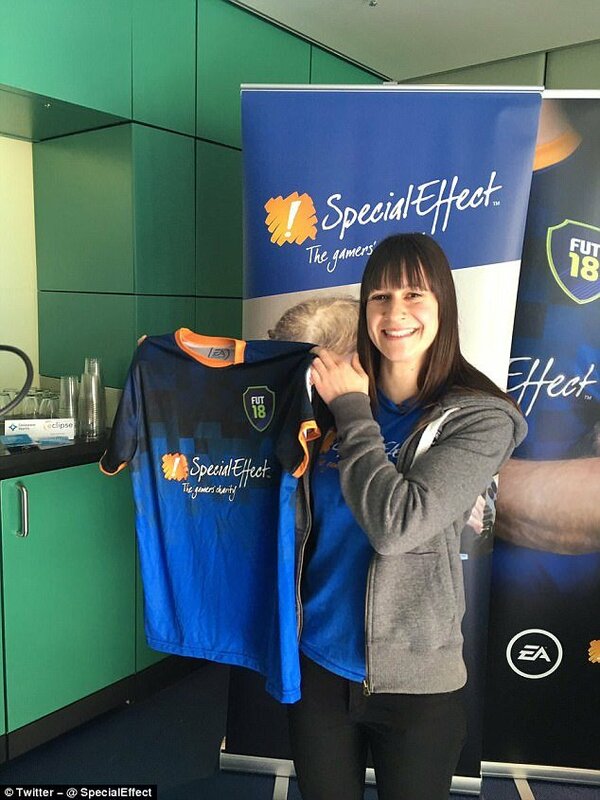 SpecialEffect’s work using technology and videos games to enhance the quality of life of people with physical disabilities struck a chord with employees across the business and all staff will now have the opportunity to get involved in raising money for the charity. GameBlast17 (February 24-26) and One Special Day, which next year will fall on the exact date of the charity’s 10th anniversary (29th September 2017). SpecialEffect uses technology such as eye-control and modified joysticks to ensure that people gain access to hours of entertainment, irrespective of physical impairment. 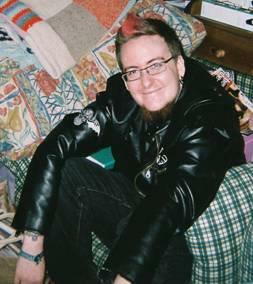 Since the charity was founded in 2007, the charity’s staff has built up a unique expertise in this area, as well as an extensive library of consoles, games and accessible controllers which it loans out to disabled gamers while they find the set-up that’s right for them. All of these services are provided free of charge, which is why fundraising partnerships such as this one are so important to the charity, as the numbers of people seeking their help continue to grow. Over 30 gaming industry companies raised over £90,000 for SpecialEffect in the charity’s inaugural One Special Day event on 15 July. The total may well rise further over the next few weeks. The majority of the companies donated sales revenue from some or all of their games on 15 July. Others ran a dedicated activity or promotion. The initiative, now to be an annual event, aims to promote the gaming industry as unified and proud in helping to level the playing field for gamers with disabilities. A wide spectrum of companies were involved, including: First Touch Games, The Chinese Room, New Star Games, Ripstone, Nomad Games, Green Man Gaming, Curve Digital, nDreams, Devolver, Game Swing, Payload Studios, Magic Notion, Tammeka Games, Bossa Studios, Barog Game Labs, We Love Dragons, Deconstructeam, Vagabond Dog, Terri Vellmann, Acid Nerve, Free Lives, Roll 7, Tundra Games, Insert Coin, Escape Technology, Revolution Games, Red Kite Games, Edgecase Games, Chillingo, Media Molecule, Ukie and Plethora Project. Next year’s One Special Day will be on Friday 22 September 2017 during the week of the charity’s tenth anniversary. 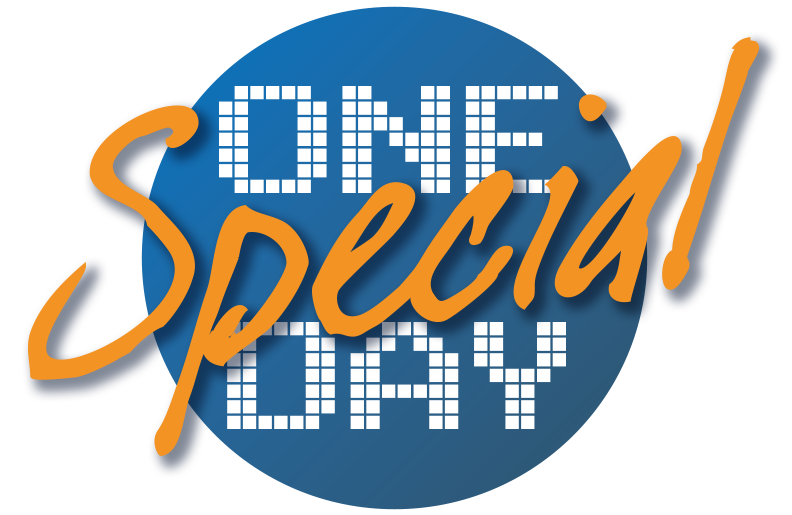 Bossa Studios, Curve Digital, Game Swing and Magic Notion have joined the growing number of games industry companies supporting SpecialEffect’s One Special Day fundraising initiative on Friday 15 July. SpecialEffect say the event will become an annual flagship day for the games industry to be loud and proud about supporting gamers with disabilities, and are encouraging other companies to join the One Special Day team. So far over 20 companies have signed up, with many donating an entire day’s revenue of one or more of their games to the work of the charity. One Special Day kicks off with a celebration party on Thursday 14 July at the Develop Conference in Brighton. Other activities will include an online auction of rare and collectable gaming merchandise, due to commence on 8 July, and a showcase at the Ukie Westminster reception on 6 July to celebrate the inclusion and creativity of the UK games industry. One hundred cars costing less than £500, laps around Silverstone and Abbeville circuits, a street party in Le Touquet plus lots of fun and games over the May bank holiday weekend, helped the Twin Town Challenge 2016 to raise over £250,000 for SpecialEffect. Twin Town is the brainchild of SpecialEffect Vice President Brendon Cross and is organised by a team of volunteers, over 50 of whom acted as marshals, fundraisers, minibus drivers, mechanics, scorers and generally managed the 500 people taking part in the event, both in the UK and in France. Event sponsors included Playground Games, King.com, Sumo Digital, SEGA, Ghost Games and Turn 10. Teams from the games industry taking part included GAME, Gamer Network, Sumo Digital, Atomhawk, Green Man Gaming, Insight Studios, Playground Games, Hutch Games and Red Kite Games.